As a child, Ángela María Camacho wanted to be president of Colombia. As she got older, however, her focus shifted. “By my first year of high school, I was set on being a lawyer,” Camacho says. Today, as Microsoft’s associate general counsel for Latin America, Camacho is committed to pioneering innovative solutions. Clearly each country is incredibly unique and, according to Camacho, the critical fact to know about Mexico is that it’s a country of contrasts. “There are areas in Mexico’s economy that are some of the most advanced and progressive in the world, while other areas are still emerging and struggling to develop and integrate into today’s global economy,” Camacho says. These growing pains, she says, are worth being a part of. As the closest neighbor to the United States, Mexico is a strategic geographic location and as the country continues to evolve, it’s the youth that will lead the way—youth that will eventually turn into entrepreneurial heavy hitters, but only if they can obtain the education and skills they need. Camacho says she has seen the social and economic changes in the country as business development continues to increase. Brazil’s unemployment rate is better than that of the United States and many of Brazil’s citizens are working themselves out of poverty, she says. That being said, the major challenge in Brazil continues to be human capital. “With the increased focus in the country there is a real talent war taking place in the market and therefore, finding the right talent we need in Brazil is not easy, but we’re hoping that changes with our investment on innovation,” Camacho says. In November 2012, Microsoft announced a $100 million investment in a series of research, development, and entrepreneurial initiatives in Brazil to be hosted in the Barão de Mauá building, a historic heritage site in the city of Rio. The company’s investment in this initiative is closely aligned to the Brazilian federal information technology plan, TI Maior, put in place by the Ministry of Science, Technology, and Innovation. At a regional level, Microsoft has invested in creating telecenters, public places that provide access to computers, the Internet, and other digital technologies, enabling visitors to gather information, create, learn, and communicate with others while developing crucial digital skills. Colombia has quickly become a key contender in the global marketplace. The once sluggish economy is now dynamic, growing above the regional average and offering a significant market opportunity as a result of having the third-largest population in Latin America. 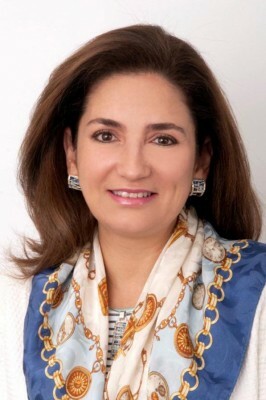 Before joining Microsoft, Ángela María Camacho worked as a vice president of legal affairs for AT&T in her native Colombia. She has also held positions with British Petroleum and Shell. From a regulatory perspective, Microsoft’s biggest challenges in the region are the modification of the data protection regulatory framework, the new amendments to the intellectual property law, and the second phase of the state modernization strategy. Camacho and her team are hard at work trying to reduce the region’s software piracy rate. At 61 percent, it’s the highest among Organization for Economic Co-operation and Development (OCDE) countries.